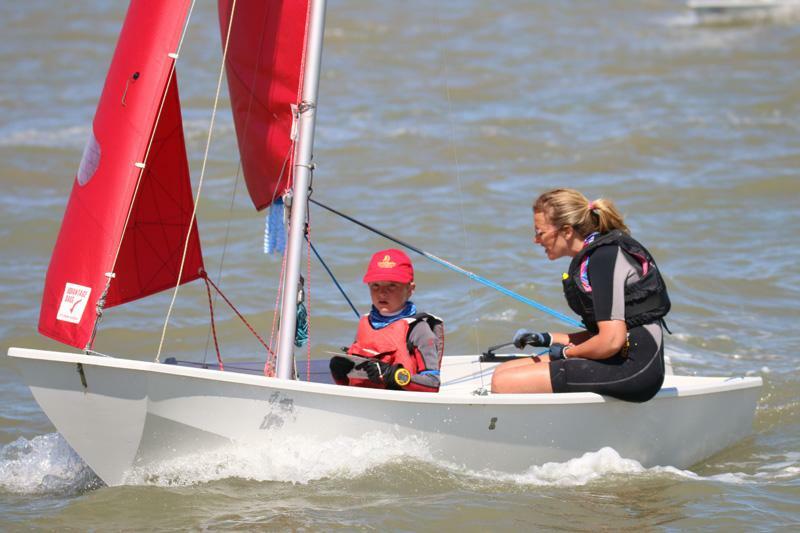 The penultimate day of Brightlingsea Sailing Club's Learning & Skills Solutions Pyefleet Week was another glorious affair with hot sunshine and a gradually building sea breeze. Both blue and red groups completed a third race in the series, and many of the classes are now so close on points that their podiums will only be decided by tomorrow's final race. 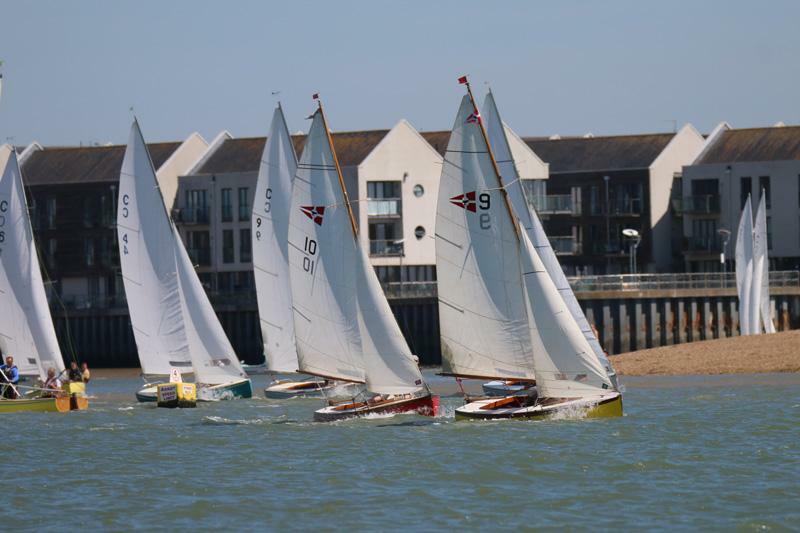 In the morning it was the turn of the red group to race, featuring the Fast Handicap, the RS700s, the Brightlingsea One Designs, the Wivenhoe One Designs, the Parent and Child class and the Cadet Handicap. Race Officer Dave Gibbons and his trusty ARO Alice Davies selected a course that was expected to give each of the fleets a terrific series of beats, runs and reaches. But unfortunately the light and shifty morning winds had other ideas and just after the start the wind shifted and turned the course into a series of fetches and reaches with just a single run. The challenge of creating passing opportunities pushed the teams tactically, but whilst the situation was at times frustrating, it was none-the-less a beautiful sail. With three races now completed the discard comes into play, allowing a number of competitors who either did not start or retired in the opening windy races to move up the leader boards. The Wivenhoe One Designs go into the final day with a tie for first place between Nigel Cook crewed by Julie-Anne White, and Nic Blower crewed by Micah Dougal. Cook won today's race with Blower second, and these two boats now have a two point lead over George Brown and Peter Goldsmith who finished fourth today, just behind Rob Maloney and Matt Belcher. The Parent and Child class is also set for a great showdown tomorrow as a win in race three now puts Stephen Cross, his daughter Morgan and her friend Frankie Karas on equal points with Dave Youngs and grandson Finlay Appleton. There is also currently a tie for third place in this class between father and son David and James Herbert and mother and son Nicola Henderson and Enzo Goodsell, who are three points behind the leaders. A third win in the RS700s has secured Pete Purkiss overall victory with a day to spare. Second place in the race now puts Richard Goldklang into third place and a single point behind Dave Bridle, whilst Simon Redfearn remains in striking distance of the podium. 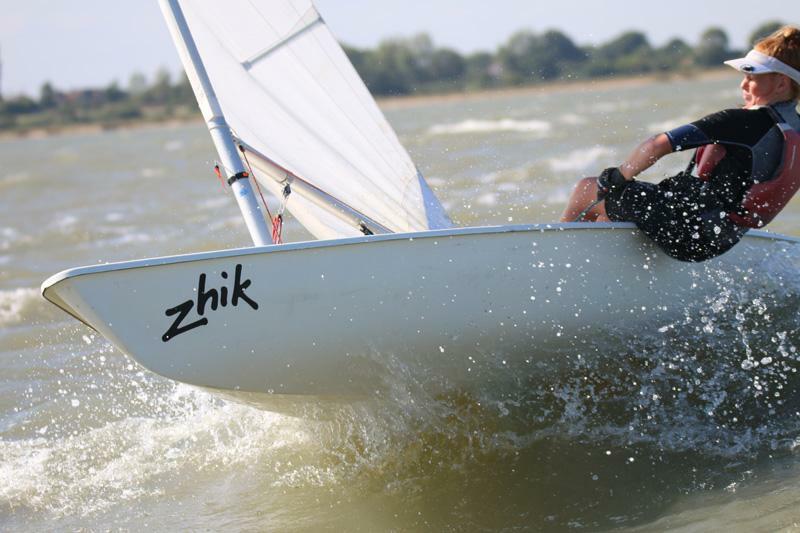 The Cadet Handicap fleet is full of promising young sailors and this week they have put in some great performances. 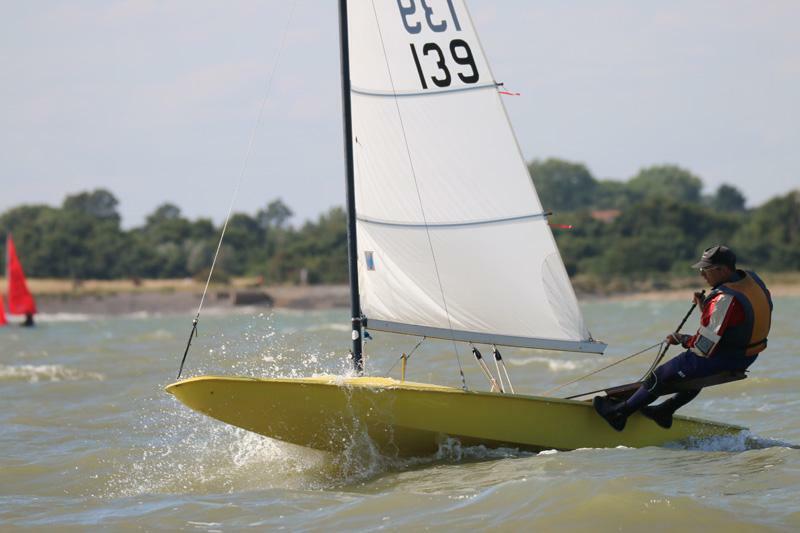 Oscar Oldfield and Tom Philips took a second race win in their RS Feva XL, beating Benjamin Pearson's Topaz Race and Francis Hartgrove's Laser 4.7 in the process. Going into the final day Oldfield and Philips hold a narrow two point lead over Pearson, while Hartgrove is on equal points with the Optimist of Katy Jenkins and four points adrift of the leader. 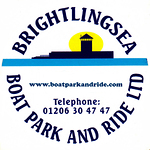 Once upon a time people used to say that the Brightlingsea One Designs (BODs) were an old man's boat. 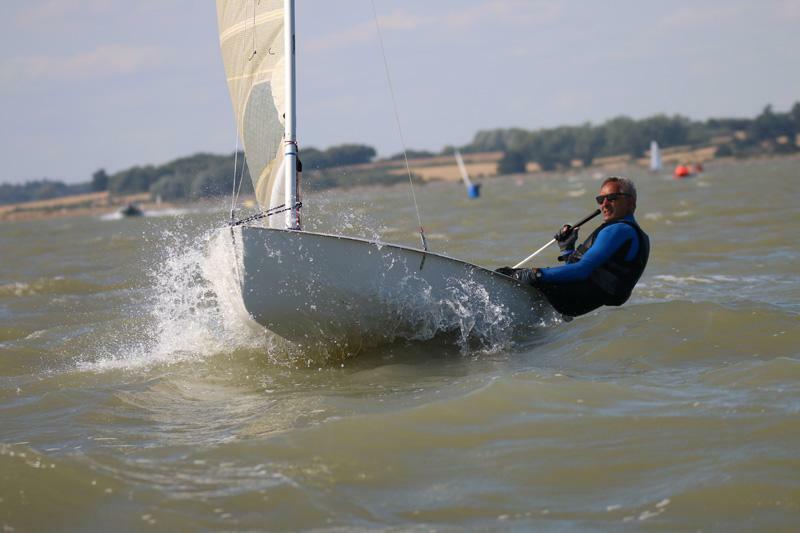 But that couldn't be further from the truth these days with the class attracting many of Brightlingsea's best younger sailors thanks to the incredible close racing it offers. Whilst the three teams to stand on tomorrow's podium are now known, which order they will be standing in is far from decided. After a superb race long battle, Chris Matthews, Ed Gibbons and Millie Newman won today's third race from Clive Goodwin, Derick Gentry and guest crew Malcolm Goodwin with Piers Lambert, Dave Conlon and Sarah Bines chasing them across the line for third. With the discard now in operation, Matthews holds two points, Goodwin three and Lambert four so its going to be a fantastic final showdown. After lunch the blue group comprising the Fast Handicap, Mirrors, Laser Handicap, Medium and Slow Handicap came to the line as the sea breeze kicked fully in giving them a superb sail. It was a Tornado day in the Fast Handicap where Paddy Carr and Mark Dyvig took victory from Paul Mines and Stuart Smith. First monohull was the Contender of Chris Bannister who takes the overall lead in the class by a single point. Moving from their BODs to something a little more modern for the other side of the day, Maddie Anderson and Jamie Diamond just managed to hold off the advances of fellow RS800 sailors Dave Conlon and Ed Gibbons to take fourth place, while Chris Matthews and Sarah Bines raced their Merlin Rocket to sixth. 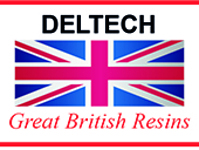 In the overall standings Bannister has a single point delta over Conlon, Matthews and Mines are one further point behind Conlon and the Fireball of Roger Etherington and Jo Adams also remains in contention for a podium finish. Melissa Heppell and Louis Hiscocks added a third bullet to their scorecard to win the Mirror fleet with a day to spare. Katy Jenkins and Amelie Hiscocks were slightly disappointed for add a fifth to their two second places, but still sit in second place overall, a single point ahead of Clive, Anna and Zoe Goodwin (alternating as crew), who in turn are one point ahead of Malcolm Goodwin and Kaya Nawrot. The Laser Handicap fleet brings together the Laser standards and Laser Radials which adds a certain frisson to the competition. Steve Williams won race three in his Laser standard but the Laser Radial of Alex Clark was snapping at his heels and they now hold two and three points respectively on the leaderboard. With both boats discarding a second place they go into the final day knowing that who ever gets the upper hand will take the victors laurels. Richard Herbert took third place in the race from Mark Schofield and these two will battle it out for the final step on the podium tomorrow. Four boats are still in contention in the Medium Handicap where a race three win kept Pete Kyne's Solo at the top of the leader board by a single point. Second in the race were Chris and Gilly Jordan in their 2000 who move up into fourth place overall, three points adrift of the leader. Ben Powell and Will Taylor have been enjoying fantastic competition in their RS Aero 7s this week and thanks to finishing third and fourth respectively yesterday then now both count four points. With all four boats still in with a chance of overall victory this will be another exciting finale tomorrow. Felix Powell from Alton Water took a second race win with his RS Tera Pro in the Slow Handicap, beating the Heron of Andrea Gibson and Vasso Tzomaka, the Topper of Elizabeth Hill and the Topaz of Benjamin Pearson in the process. Overall Powell leads by one point from Hill with Pearson third, one point behind Hill and two ahead of Gibson. After a windy start, the weather for this year's Learning & Skills Solutions Pyefleet Week has been extraordinary and the shore-side vibe has been fantastic. 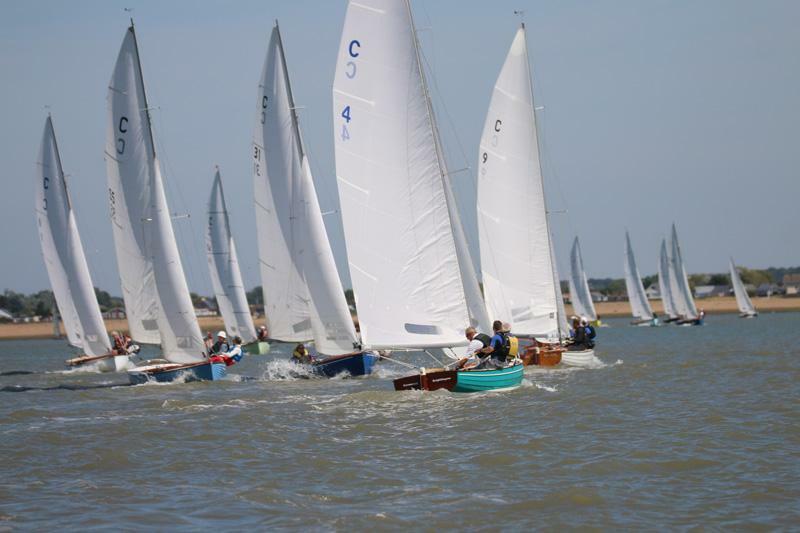 During the day spectators line the beach and promenade to enjoy the sight of the boats racing in and out of Brightlingsea Creek and the relaxed holiday atmosphere. The club's all volunteer galley team have done a fantastic job of feeding everyone with delicious home made meals and the evening entertainment has offered something for all. Thursday night featured one of the event's best loved social traditions - Nigel & Jackie's Big Quiz. Past Commodore Nigel Edmunds and his wife Jackie compile the quiz and each year manage to come up with the perfect mix of challenging and entertaining questions. Funds raised by the quiz always go to the RNLI and over £100 was donated this year. The evening also featured a special raffle to raise funds for the club's much needed new start hut and event control centre. Artist Julie Taylor moved to Brightlingsea from Germany last year and she and her family joined the sailing club. This has been Julie's first Pyefleet Week and she has loved the experience so much that she rushed home to capture it on canvas on Tuesday night. The stunning result was donated to the club and the painting was raffled last night, raising £211! The forecast for Friday's final day of the regatta is wall to wall sunshine and. Conditions look light with a southerly of 5-7 knots in the morning, but the afternoon sea breeze should take the wind round into the south east, building to 10-15 knots. Further information and full results are available from www.pyefleetweek.comor by contacting Fiona Brown on fiona.brown@fionabrown.comor 07711 718470.